Findings of the 2017 Healthy Kids Survey in Trinity County showed about three-quarters of teens lack healthy social connectivity, and most feel disconnected at school. "We were surprised," said Janessa Hartmann, UC CalFresh nutrition education program supervisor for Trinity, Shasta and Tehama counties. "Trinity County is small and Trinity High School has just 364 students. We thought there were ample opportunities for students to connect." The students told a different story. The survey found that 74 percent of 9th graders and 60 percent of 11th graders feel they have no caring relationships at school; 90 percent of 9th graders and 77 percent of 11th graders feel they have no meaningful participation at school. The data prompted Junction City Elementary School principal Christine Camara to reach out to UC Cooperative Extension for assistance in creating a program where high school students could develop caring relationships through a project devoted to meaningful participation in their school and community. UCCE garden coordinator Kim Stempien (left in blue shirt) presenting a worm compost lesson. Also pictured are two RISE students (in the back), afterschool students, and UCCE nutrition educator Margarita Alvord (right in blue shirt). 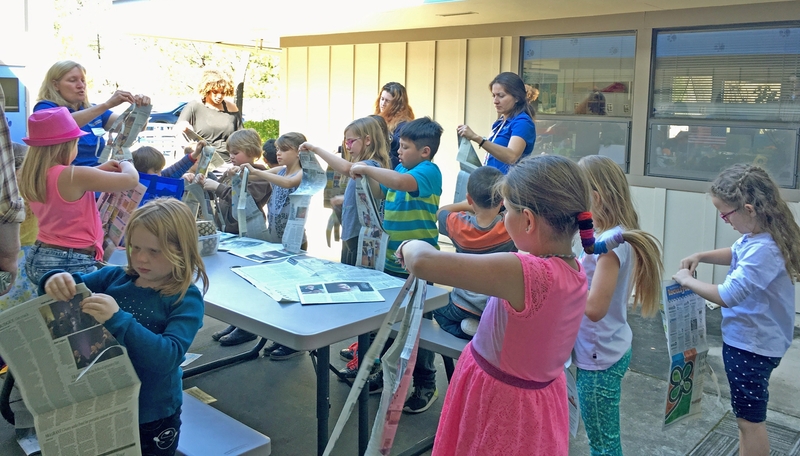 UC CalFresh offers nutrition, physical activity and garden education in local schools. To involve teenagers, UC CalFresh created RISE, the Raw Inspiration Spreading Education program. 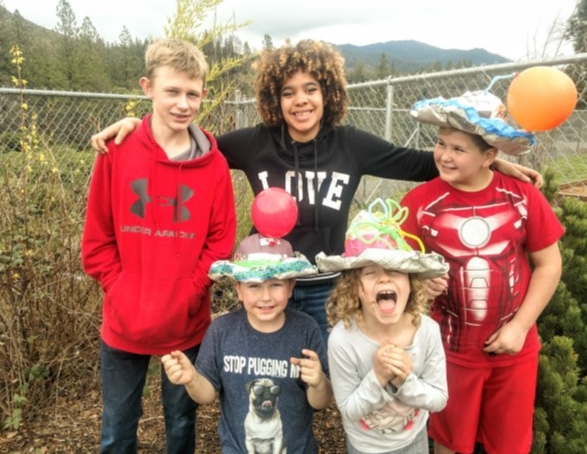 It was designed to mentor, empower, and train teens to deliver the Learn Grow Eat Go Curriculum at the Junction City Elementary School afterschool program and support the school garden. RISE is giving older students the opportunity to work with elementary school students in a structured way that helps spark friendships, reduce social isolation and improve health outcomes. This project, led by Maggie Alvord, UC CalFresh Trinity County nutrition educator, is also integrating the talents of 4-H program representative Nate Caeton and UC CalFresh garden coordinator Kim Stempien. Trinity High School counselor Jaime Green noted that the pilot project aligns with the education component of the Career Pathway program by providing the opportunity for students to learn to teach. The Trinity High School horticulture teacher is offering classroom time and opportunities for students to learn the curriculum. "By participating in this program, students are developing skills as educators," Alvord said. "They are becoming role models for the elementary age students." Last school year, four high school students were enrolled in RISE. They delivered 10 Learn Grow Eat Go lessons to 60 after-school students. "The RISE Program is fun. It's taught me how to guide and learn with children as well as further my knowledge in gardening and healthy lifestyles," said junior Macy Senter, one of the RISE participants. Macy Senter (center in black “LOVE” shirt) with students in the afterschool program. The teen educators are being enrolled in the UC Cooperative Extension 4-H program. They will be presenting at 4-H meetings regarding the RISE program and they will be eligible to take part in 4-H leadership activities. "The momentum has only begun and I have a lot of ideas brewing regarding improvements in the RISE Program for the following year and hopefully years to come," Alvord said. What a great and wonderful idea. So many gardeners today began their love of gardening at a very young age, playing in the soil and planting seeds with Mom and Dad and then watching those seeds grow into amazing plants and flowers. I did! So it doesn't surprise me at all how much our little children already know about gardening when they begin school and early classes would continue to teach and inspire them.